When Antonio Hart was in ninth grade, the music and art programs were cut out of the public schools. Antonio was devastated because the one thing that made school interesting was taken away from him. Hart had a friend that attended the then new Baltimore School for the Performing Arts, and somehow got Antonio an audition. Most of the students that attended this school had been playing music all of their lives and had private instruction. This did not stop Antonio because he knew this would be the place for him. The night before the audition, Antonio spent hours on the phone with his friend learning a song from one of his music books. He did the best he could because he really could not read the level of music he was trying to play. The school was a hotel that had been made into one of the best learning institutions in the country. Hart was taken to a room to warm up and then, three teachers came in for the audition. He played his piece 'Hungarian Dance ..5', then he played some scales for them. The teachers said thank you and that was it. Hart prayed everyday, but he did not think he would get in. One week to the day, he received a transfer letter in the mail; he had been accepted! Hart considers this the beginning of his life as a young man and musician. This was such a change for Hart because this was a very serious school. The academics were hard and the music courses were very challenging. Hart found himself in summer school because he did not cut it that first year, but that was the only summer he went to summer school. After that adjustment period, Hart started to grow very fast. He gives much credit to his private teacher Chris Ford. 'Mr. Ford took me from the beginning to a level much higher than the average high school student.' At the school, Hart played a lot a classical music, but started to like Jazz. He felt more of a connection with Jazz because of the people he saw playing it and the chance to improvise. Hart's real study of Jazz began at the Berklee College of Music in Boston. There, he studied with Bill Pierce, Andy McGhee, and Joe Viola. The three teachers gave him the foundation he needed to develop into a professional musician. Hart spent many hours in the library listening to all his favorite musicians, and practicing and playing as much as he could. There were also many late hours in the practice room. Because of the lessons learned at the School for the Arts, Hart really thought it was important to have a balance between music and academia, so in his sophomore year he became a Music Education Major. These courses added other challenges that inspired Hart. He made many friends at Berklee, but the most important was Roy Hargrove. They spent three years touring the world and recording Hargrove's first three records. Hart considers Hargrove to be his brother in life and music. He even used Hargrove on his first recording 'For the First Time.' 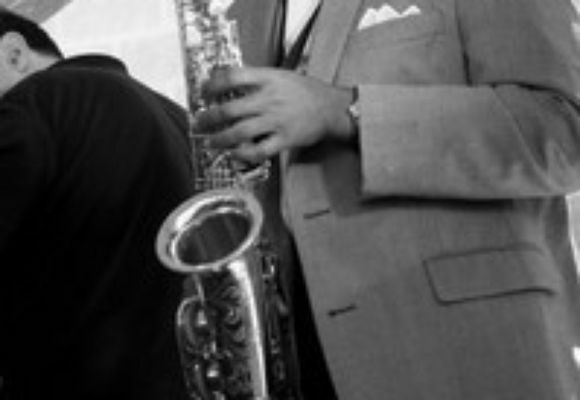 Hart wanted to continue his education and study from some true masters of Jazz, so during those first few years on the road, he also worked on a Masters Degree at Queens College. There he had the opportunity to learn from the great Jimmy Heath and Donald Byrd. Hart felt blessed and honored when Mr. Heath produced his second recording 'Don't You Know I Care.' His 1997 release, 'Here I Stand' Impulse records, earned Hart a 1997 Grammy nomination for 'Best Jazz Instrumental Solo.' He has also been in much demand as a guest on over 80 recordings. Since then, Hart has recorded seven CDs as a leader. The latest, 'All we Need' Chiaroscuro Records. Hart balances his time as a full-time Professor at The Aaron Copland school of Music, Queens College, as well as, traveling on the road with his band, The Dave Holland Big band, and The Dizzy Gillespie Big band. In his off-time, he likes to practice martial arts. and listen to other styles of music for inspiration. He is constantly trying to get to higher levels on his horn and in his writing.